I’ve been working at growing my blog since I started it over a year ago and am super excited about this GROW YOUR BLOG event! Thank you Vicki at 2 Bags Full for coordinating it! 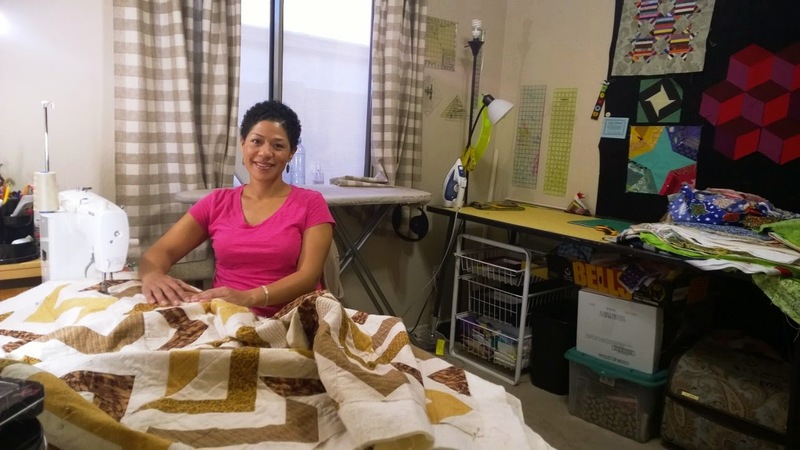 My name is Zenia Rene and I am a quilter. I started quilting in 2011, thanks to my friend Mel who was so persistent in me going to “Quilting”. You can read more about that, here. I feel quilting is a gift from God. You can read about why, here. I started blogging about quilting in 2013 to give my family, coworkers and non-quilting friends a break from all my “quilty” talk. And...I wanted to share this incredible, God-given, quilting passion with others who love and appreciate it as much as I do. The funny thing is, I hated writing when I was in school. However, when I start/finish a new project, find a new pattern/tool, or make a great fabric score, I just have to write about it and share it w/the quilting/blogging world! I do work full time, but I’m looking to go part-time real soon. My 3 kids are all adults but my 2 sons still live at home. I have 2 grand-kids and my daughter is due to have her 3rd child in about 3 weeks. I’m still single, but very much desire to be married someday. I’m a born-again Christian and enjoy going to church. 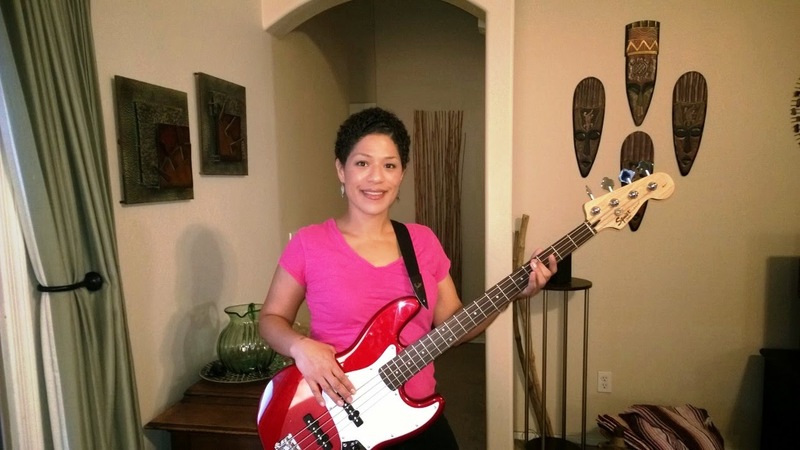 I recently bought a bass guitar and named it Ruby. If I ever take the time to practice, I might get good enough to play Ruby in the worship band at church…which is my goal. My creating process is pretty simple. I keep two lists. An extra long list of Quilts I Want to Make and another list, not quite as long of Peeps to Make Quilts For. I choose a pattern and a peep then pick out fabric based on their favorite color/colors. If I’m not making a quilt w/a specific peep in mind, I choose fabric based on what I like and want to put together. A lot of the time, my choice is scrappy. I am quite fond of scrappy! (I also adore pieced backings and I don’t think they have to match the front of the quilt at all) I usually get all the cutting out of the way in the beginning, then I start piecing. I never get bored because I always have multiple projects going at once. I’m sure some would disagree, but I feel this process makes me more productive. 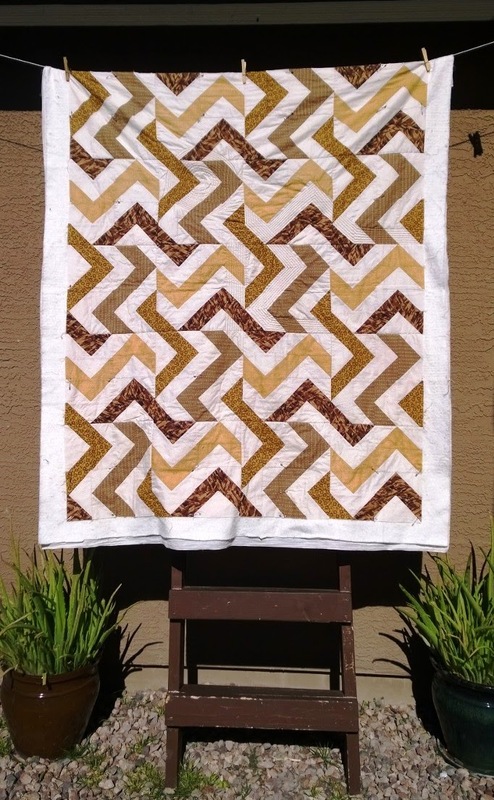 I made 22 quilts in 2014! My writing mostly coincides w/the progress of the various projects I’m working on. Rarely, if ever, do I write anything philosophical. However, I do like to end each post w/something encouraging; be it scripture, song lyrics or just words of wisdom from devotions or other quotes. I call it A Thread for Life. This is one of my current projects which I’m in the process of quilting. I call it Walk Like An Egyptian. The pattern is Broken Chevron and written by the very talented Jan at The Colorful Fabriholic. It was an honor to be one of your pattern testers Jan! I follow a bunch quilters via Blogger, Instagram and G+, many who are mothers of young and/or multiple children and it seems like they quilt and post constantly! I have no idea how the heck they do it! I think many of them are stay-at-home moms. But even then…how they juggle motherhood, homeschooling, quilting/crafting, AND still have time to blog and post so often, truly AMAZES me…and makes me a little envious. KUDOS to you ALL! Several months ago I committed to writing 1x/week and had been meeting that commitment for quite awhile, but lately I’ve been slacking. On my honor I will try… to get back on the 1x/week blogging track soon. Thanks for stopping by! If you are so inclined, follow me! I look forward to visiting your blogs too! It is not part of the life of a natural man to pray. We look upon prayer as a means of getting things for ourselves; the Bible’s idea of prayer is that we may get to know God Himself. When a man is at his wits’ end it is not a cowardly thing to pray, it is the only way he can get into touch with Reality. Be yourself before God and present your problems, the things you know you have come to your wits’ end over. As long as you are self-sufficient, you do not need to ask God for anything.